Indefinite Shadow dancers perform Sunday through Thursday from 8pm-2am and on Friday and Saturday from 7pm-3am. Patrons must be at least 21 years of age. 3950 Las Vegas Blvd South Las Vegas, NV Admission: Free. Rockers Crazy Cole & the Bar Flyz are going to go crazy at 8 p.m. Friday at the Gold Mine Tavern, 23 S. Water St. The show is free; call 702-478-8289. 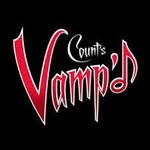 Powerhouse hard rock vocalist Mandy Lion belts ’em out at 9:30 p.m. Friday at Count’s Vamp’d, 6750 W. Sahara Ave. The show is free; call 702-220-8849. From Austin, Texas, comes “anything-but-common spaghetti western/Americana/punk-infused Irish American act” Black Irish Texas. See them at 10 p.m. Friday at the Double Down Saloon, 4640 Paradise Road. The show is free; call 702-791-5775. Exciting cocktail concoctions and an innovative bar menu can be found at miX Lounge featuring light bites for guests to choose from including Mini Beef Short Rib Tacos with guacamole and créme fraiche ($12); Sweet & Sour Duck Spring Rolls ($8) and Fried Crab Cakes with homemade tartare sauce ($12). - Ladies Night every Thursday. Ladies drink free from 10 pm to Midnight. Thursday - Saturday: 5:00 p.m. to 3:00 a.m.
Sunday - Tuesday: 5:00 p.m. to 12:00 a.m.
Show at Caesars Palace Forum Shops. It features statues that move and talk, debating who is a better warrior. Fountains appear to erupt and dazzling lights and sound touch the senses in a setting that is beautiful and impressive. A 20-foot dragon appears near the end of the 10-15 minute show. Nearby is a 50,000 gallon saltwater tank with small sharks, rays, tropical fish, and other sea creatures. The show is short, about 5 minutes, and occurs in the evenings, approximately every hour at dark. It's basically the water fountains lit up with red lights, supplemented by some real fire here and there, and audio rumbles. It's not worth making a special trip to see, but something to check out if you're already in the hotel area. It is a Members Club, however the Dining Room is open to non-Members, and the Lounge is open to non-Members after 10pm. Lounge entrance fees for non-members may apply. Guests interested in membership may also request a tour of Foundation Room by calling 702.632.7631. Bowling, live music, nightlife and gourmet dining fuse together at The LINQ’s hottest nighttime destination, Brooklyn Bowl. The LINQ’s Brooklyn Bowl features 32 bowling lanes and a gigantic music venue, plus the famed Blue Ribbon restaurant which serves everything from wings, pizza, catfish and barbecue to vegetarian fare. Before heading for the Brooklyn, stop at Purple Zebra Daiquiri Bar Brooklyn Bowl at The Linq 3545 Las Vegas Blvd. South. The shows are free. For more info, call 702-862-2695.